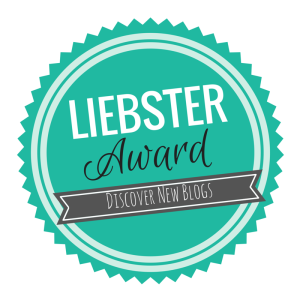 The Liebster award is to help blogs with less than 200 followers get noticed and develop their readership. This is a "pay it forward" type award, so I am nominating a few people too (listed further down in this post). Part of being nominated is answering a few questions. These are the questions that Ashley picked for me, along with my answers. It also comes from my favorite book series, The Christy Miller Series. This Christian, youth series has a character that calls herself a Peculiar Treasure for God. As a Christian, I am called to stand out from the crowd and be peculiar in their eyes, because of the way I live; as someone who is treasured by God. My blogging inspiration....hmmm. I'd say my inspiration comes from seeing people that I know have potential to change the world, yet they melt themselves away in a furnace of terrible decisions. I desire for my words to change the way those people view life. Can you give 11 random facts about yourself? What was your biggest accomplishment of 2014? What is it you love most about blogging? I have the freedom to share the gospel, without being confined to one topic or style of writing. 1. To not battle so heavily with the lies of Satan, and know the voice of God much more clearly. 2. To live within 30 minutes of everyone I love. 3. To eat everything I desire and still be thin and in shape. What is one country in the world you would like to visit? Why? I want to experience truly authentic Italian food and personality. What are you currently watching or reading? I am currently watching The Unbreakable Kimmy Schmidt and reading Inkheart. What is something you do when you need to take time for yourself? I take a chamomile salt bath, look at magazines, and then watch Bones or Phineas and Ferb. I see myself blogging professionally from home, while my husband works as a college professor. I also see us more heavily discussing the idea of having kids or going into ministry full-time. Now that I have answered all of the questions, I'd like to pay it forward and nominate a few blogs that I enjoy. Please take a few minutes to check out these blogs! I love them, and I’m sure you will too! Answer the eleven questions given to you by the person that nominated you (see below). Please comment on this post with your link when you are done so I can see your answers! After completing the questions, nominate bloggers with under 200 followers on the social media platform of your choice (I used Bloglovin’), and give them eleven questions of your choice. How did you decide on the title of your blog, and what is it about? What is one country in the world you would like to visit? Why? Where do you see yourself in 20 years time? Congratulations on your award and I hope it helps you to grow your blog. I came here from a comment you left on my blog, so this was a great first post for me to read! My daughter keeps telling me I've got to read the Inkheart series, too. Yes, it's an awesome book!